This Ayehu comes from a Horizon/Ethio-Agriceft farm in the fertile highlands of the Amhara region in Northern Ethiopia. It grew between 1,700 and 1,800 meters and is Rainforest Alliance certified. 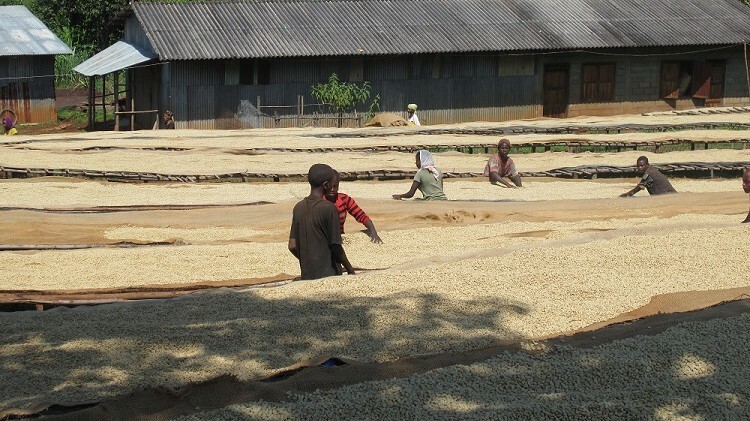 The farms under the management of Horizon/Ethio AgriCeft practice sustainable farming, growing coffee in a manner that is fair to the environment and its inhabitants. The farms are home to nearly 100,000 people who live and work on the plantations. With the use of organic and Rainforest Alliance premiums, the organization has been able to invest in housing, schooling, health centers and clean water supplies for the farmers and their families. They have also invested in their own facilities to improve working conditions for their employees. Cupping notes: Sweet, clean, complex; juicy acidity, buttery body; floral, red berry, caramel and dark chocolate notes.